The clean, minimalist lines and polished concrete of the Bawa School of Architecture gives guests a taste of the famous design styles on the island. 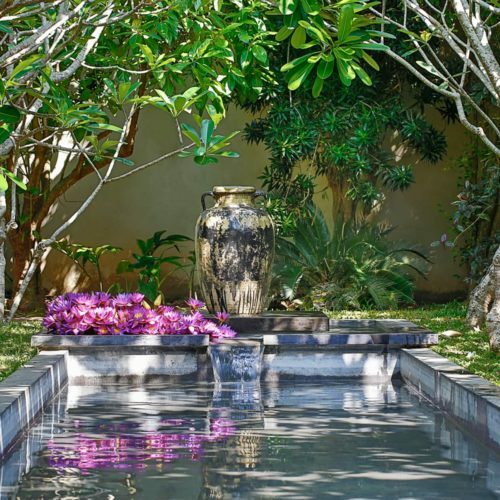 Sister property to The Fort Printers, Galle Fort, The Frangipani Tree' is located just 8 km from Galle (2.5 hrs drive) on the Thalpe Beachfront and features 10 contemporary suites within 4 villas. This is a great beach retreat, where guests are encouraged to disconnect from the world with a pointed lack of TVs, DVDs and telephones, unwind in the spacious suites and private verandas and recharge with the use of a 26 metre lap pool and tennis court. 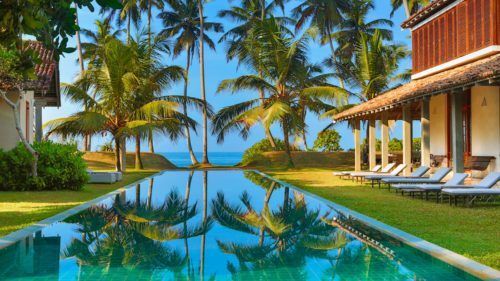 The property is well located for visiting, Sri Lanka's leading spot for sighting blue and sperm whales close to the shore. Thalpe Bay is a popular surfing destination, particularly during November - March, when it serves as a worthy alternative to the East Coast during its monsoon period.